The Doctor Who Experience have announced the arrival of the Wooden King and Wooden Queen to the exhibition, as seen in this year's Christmas Special, The Doctor, The Widow and The Wardrobe. The two costumes will be in a special display at the exhibition, alongside the existing array of monsters including the Daleks, Cybermen, Silurians and the Silence. The Doctor Who Experience is open in London until 22nd February 2012, and will then re-open at its new home by the BBC Studios at Cardiff Bay later in the year. The BBC Doctor Who page on Facebook are running a competition for one lucky winner to win the Complete Series 6 Boxed Set on Blu-ray, plus a 32" HDTV and Blu-ray player to watch it on! The competition is open to residents of the United Kingdom who are eighteen years of age or over; in order to enter simply ensure you "Like" the Doctor Who page, and then provide your name, address and other contact details via the competition entry form by 2nd January 2012. The winner will be announced the week after closing date. Please note that in order to enter this competition you must be a registered user of Facebook, and allow access to the Softwind Competitions! application. The Tuesday repeat of the Doctor Who Christmas Special, The Doctor, The Widow and The Wardrobe had an audience of 1.1 million viewers according to unofficial overnight figures. The show had a 9.5% share of the audience available, winning its timeslot. All Star Family Fortunes, which was scheduled against Doctor Who again, also had an average of 1.1 million watching, however Doctor Who had the higher ratings while the shows were pitted against each other. Meanwhile more details have emerged about the Christmas Day showing. Among children aged 4-15, as well as adults aged 45-54, Doctor Who was the most watched programme on Christmas day. The only group for which Doctor Who lost out to All Star Family Fortunes was viewers aged 65+. Doctor Who was the only programme on Christmas Day post-3pm which had an exact 50/50 male/female split. Doctor Who: The Doctor, The Widow and the Wardrobe achieved an Appreciation Index, or AI, score of 84. The Appreciation Index or AI is a measure of how much the audience enjoyed the programme. The score, out of a hundred, is compiled by a specially selected panel of around 5,000 people who go online and rate and comment on programmes. This year's score is slightly up on last year's Christmas Special. The score was the highest on BBC One for the evening, with most programmes scoring around the 82 mark. The prize for the most appreciated programme of Christmas evening was taken by ITV1 with Downton Abbey, scoring a massive 92. The Doctor, the Widow and The Wardrobe has debuted in Australia to solid ratings. TV Tonight reports that Doctor Who averaged 749,000 viewers in the five major capital cities. It came second in its time-slot, was the Australian Broadcasting Corporation's top-rating drama of the day and the thirteenth highest rating programme of the day overall. Meanwhile ABC2 will repeat the entire run of the new series, Mondays-Fridays at 7.30pm, starting with Rose on Monday 2 January 2012. After the positive previews of the story, Boxing Day introduces us to the media aftermath of The Doctor, The Widow and The Wardrobe - below are some of the thoughts of reviewers of the festive adventure (click on the their names for the full reviews). You can read our own review of the episode here. Please note that reviews contain plot points that may be considered spoilers for those who have yet to see the episode. Oh good, our own planet is involved, and the past. I feel more comfortable there and then. There's also a door into a different world, a snowy winter wonderland where magic sparkling baubles hang from the pine trees. Yes, there's more than a nod to Narnia, but without all the God-bothering, as far as I can see. The message, if there is one, is an eco one. 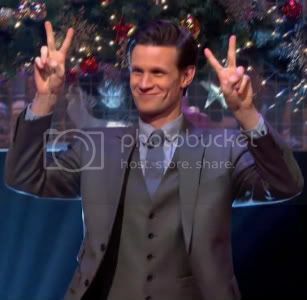 It's warmhearted and twinkly, and Matt Smith is ever so slightly annoying. But the kids like him, that's what counts. Every year the Christmas special comes back with something vastly different to the previous year and usually it proves to be on par if not stronger than the one before. The Doctor, The Widow and The Wardrobe had the perfect recipe for a Christmas special. It had a simple story that could be easily understood without too much concentration and as specials go, it avoided being sickly sweet. By the end audiences were likely to be left with a warm glow created by the mixture of comedy, tragedy and general festive cheer that never became overly sentimental. This was packed full of festive magic, with ingenious use of Christmas trees, angels, stars, baubles, even woolly winter cardigans. The only problem? It was too busy being cute and clever to create a sufficiently memorable monster. The wooden Pagan king and queen weren’t quite hide-behind-the-sofa scary, more the sort of thing you’d see down the garden centre. Still, The Doctor, The Widow and The Wardrobe succeeded in being the kind of broad fairytale fun that unites the generations. "A brilliant idea for a Christmas trip," as the Doctor himself said. THIS year’s was not a classic Doctor Who, but a good one and a perfect piece of Christmas English whimsy. "Crying when you’re happy!" 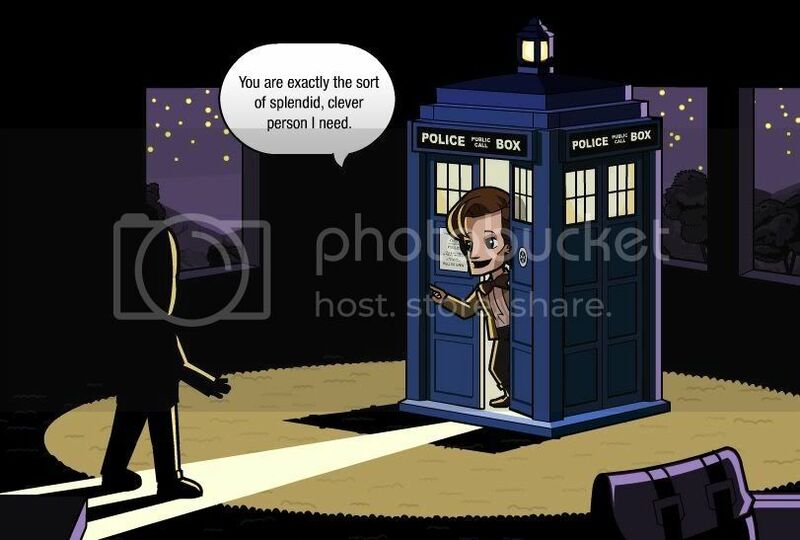 the Doctor puzzled. "That’s so human!" 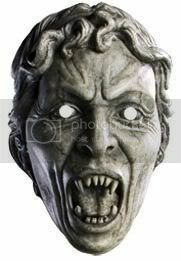 - this is Doctor Who at its best, tapping into/manipulating our emotions. Whether we were born before the war, or decades after it, we all feel like we know what it's like to have survived on rations and be evacuated to the countryside - romantic dramatisation of the war is part of our national common experience, even if actual wartime isn't. Moffat captured this perfectly as he took us back to war-torn Britain, where we met eponymous widow Madge and her children Lily and Cyril, whose escape from Blitzkrieged London to rural Dorset paved the way for a suitably Christmassy tale. By virtue of there being so many of them, Doctor Who Christmas specials have some stiff competition when it comes to deciding which is the most gripping festive Timelord adventure of them all. However, fans of the series will probably agree that The Doctor, The Widow And The Wardrobe is up there with the best of them. When I heard Marge Arwell (Claire Skinner) saying, "This Christmas is going to be the best Christmas ever," I got a sinking sensation. Not just because by nature I’m a bit of a Scrooge, but because I’ve had enough of being promised "the most Christmassy Doctor Who ever". As if that were a good thing and something I’d want once in every 14 episodes. Bah! Well, I should have had more faith in Steven Moffat, Matt Smith and co, who have pulled a cracker, and almost - almost, I say - given this Ebenezer a Christmassy glow. 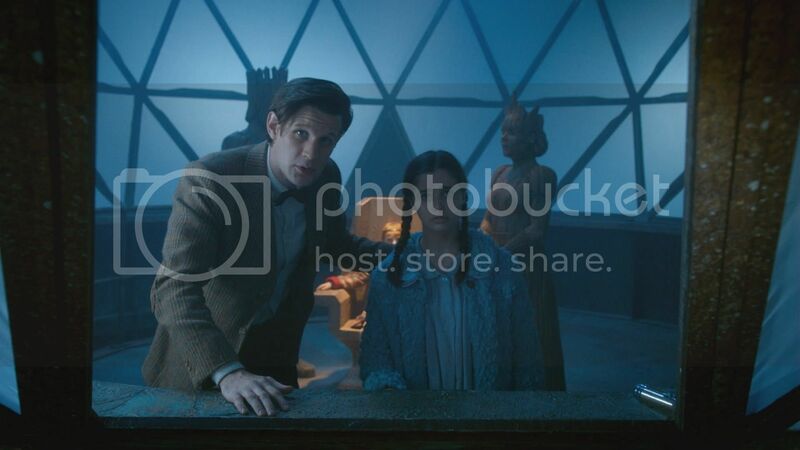 How can anyone resist The Doctor, the Witch and the Wardrobe? 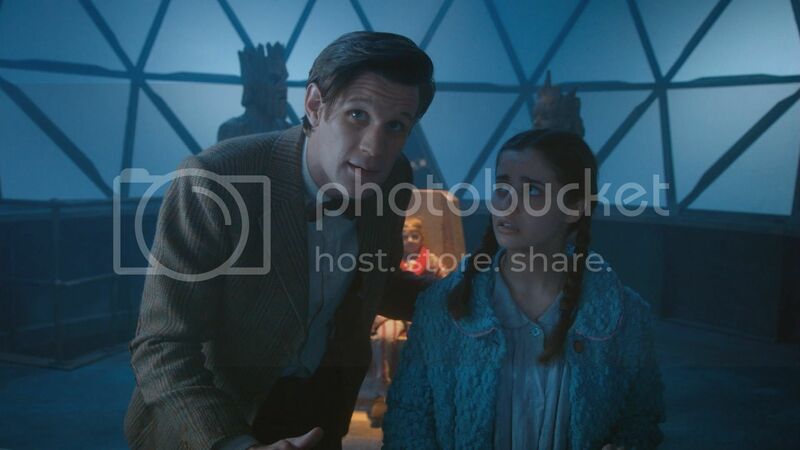 Unashamedly emotional, but always just cynical enough to keep it away from stale stilton, The Doctor, The Widow and the Wardrobe is the riskiest story Moffat has created – he referenced Star Wars, the Battle of Britain and Narnia in the first five minutes! But the Doctor once again delivered. This episode didn’t just have a great ending, it had two weepy finales – even the Doctor was teary. And Matt Smith continues to make it seem like he has played the part for 49 years. Doctor one, Downton nil. Newcomer director Farren Blackburn brings style to spare, conjuring a 1940s rich in period atmosphere and dripping with People's Friend nostalgia, all home-knits, rainy lanes and hazy streetlamps. 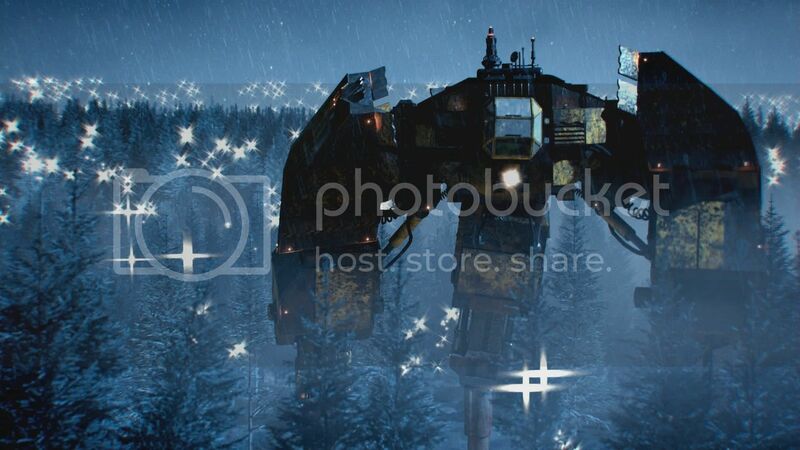 He also has a fine eye for the evocative visual: whether it be a Lancaster Bomber soaring into the time vortex or Halo-style armoured warriors walking the snows of a Narniaesque forest, this is, ultimately, an episode that trades in the kind of brilliant, reality-mashing juxtapositions that feel uniquely and unmistakably Doctor Who. The Doctor Who Christmas special, as both Moffat and Russell T Davies have noted over the years, is a slightly different beast. Accepting that a large bulk of people watch it after a bloated day, and not short of either sugar-laden or alcoholic beverages, its tone tends to be just a little lighter. 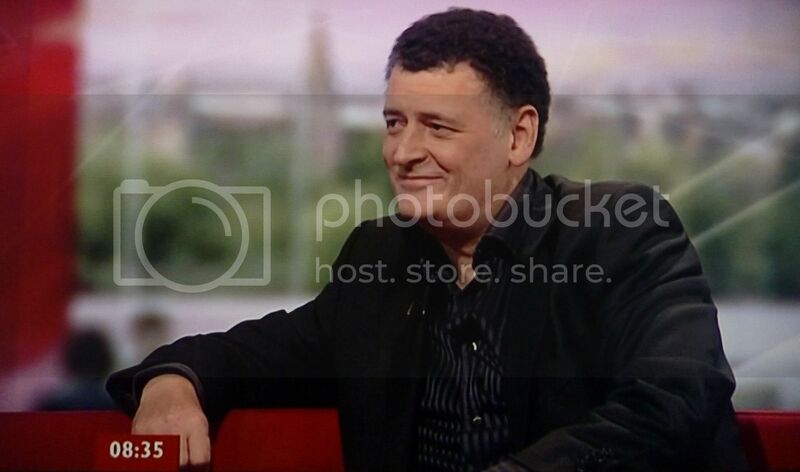 Moffat works that very much in his favour, but doesn’t shy away from the darkness in the background. Madge’s choice is never far away. There’s a solid pro-nature element that fits very well with the best of socially and ecologically conscious Doctor Who (Green Death, anyone? ), but ultimately this story’s strongest theme is the celebration of the power in a mother’s love. While some have already found problems with the notion, I think it’s important to remember that every individual character in every story does not have to represent every other member of their gender. In this one instance, it’s a lovely, inspirational message for this very family-oriented time of year, and it doesn’t detract at all from any other strengths that female characters might and should exhibit. This year there was plenty of action, some good scenes and witty dialogue. There is less 'toing and froing' back and forth in time as the story is played out in a more linear fashion than recent episodes of the last TV series. Possibly a bit too much Spielbergian sentimentality, but hey it's Christmas. The comic elements were provided by Bill Bailey and Arabella Weir. Personally, although I've enjoyed the Christmas Doctor Who episodes I've also been slightly disappointed with them compared with the regular series (many Doctor Who fans are often a little disappointed with the festive fare). I think it is because the something is sacrificed in aiming for the general viewer, who will tune in whilst munching a minced pie, whereas the series can develop a more intricate story and cater for the ardent fan. 8.9 million watched the Doctor Who Christmas Special, The Doctor, The Widow and The Wardrobe according to unofficial overnight figures. Doctor Who was the third most watched programme of the day, with the two soaps taking the top two spots with EastEnders winning the day with 9.9 million and Coronation Street just beating Doctor Who with 9.0 million watching. Downton Abbey took the fourth spot with 8.1 million watching. Against Doctor Who, All Star Family Fortunes managed 6.1 million viewers. Doctor Who had one of the the highest audience shares for the day with 34.2% of the available audience. BBC One took six of the top ten places with ITV1 taking four, a contrast to the previous few years which have seen BBC One dominate the top ten chart for Christmas Day. All viewing figures are considerably down on recent years. Doctor Who is the fourth most watched programme of the week on overnight figures. Moffat becomes quite unashamedly romantic at this time of year. It gives little away to say that this second world war-set, Narnia-inspired tale is one of the smallest stories we've seen on Doctor Who in recent years. But it also delivers the most effective emotional suckerpunches. 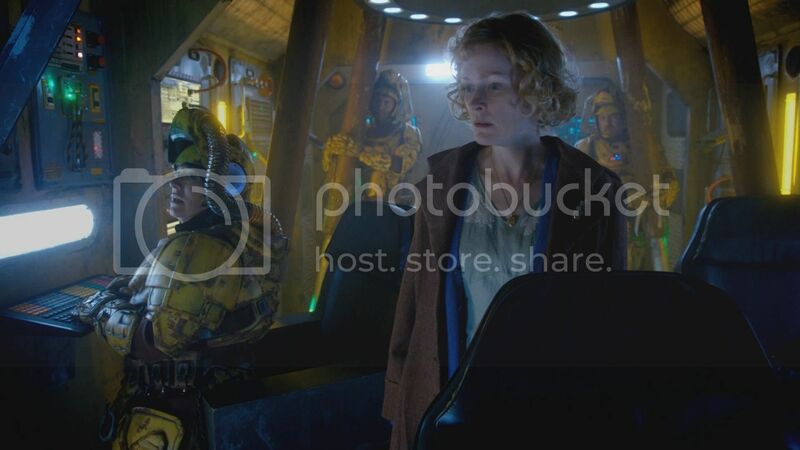 After the events of The Wedding of River Song, The Doctor is, in the eyes of the universe, dead; to kill time before the next storyline arc, he's larking around on doomed spacecraft and doing favours for random evacuated families. When wartime yummy mummy Madge Arwell helps him out of one of such scrapes, he goes to exceptional lengths to return the favour, and inevitably the whole thing ends up going calamitously wrong. Supported by a pair of unusually tolerable child actors, Claire Skinner carries the episode with a soulful performance, while Bill Bailey and Arabella Weir clock on to balance things out with the laughs. Admittedly it lacks, for instance, a gigantic Cyberman stomping across Victorian London, and the story feels ludicrous even by festive Who standards. But only the stoniest-hearted viewer will finish watching this without finding something in their eye. From the depths of a silent forest beckons a wintry tale of wartime pluck. Steven Moffat's latest festive panto is a typically lavish affair, with the Doctor and a resilient 1940s widow (Claire Skinner) embroiled in an ingenious take on The Lion, the Witch and the Wardrobe. The Spielbergian sentimentality (dead pilots, preternaturally sensible youngsters) gets a bit Sensodyne Extra at times, but there are proper chills (time portals, talking trees, pulsing bauble things) and larks (Bill Bailey) and, as with all the best Christms specials, the sense that all is well with the world. "Whopremo" Steven Moffat's suitably seasonal take on The Lion, The Witch & The Wardrobe. It’s a witty, wintry wartime adventure with added spaceships and Lancaster bombers. As cockle-warming as mulled wine, merrily magical and a real family treat. Last year, EastEnders knocked Dr Who into second place, with viewing figures peaking at 11.7m, but Sky Bet spokeswoman Helen Jacob said the science fiction family favourite might well be the dark horse to sneak through with most viewers on Christmas Day this year. 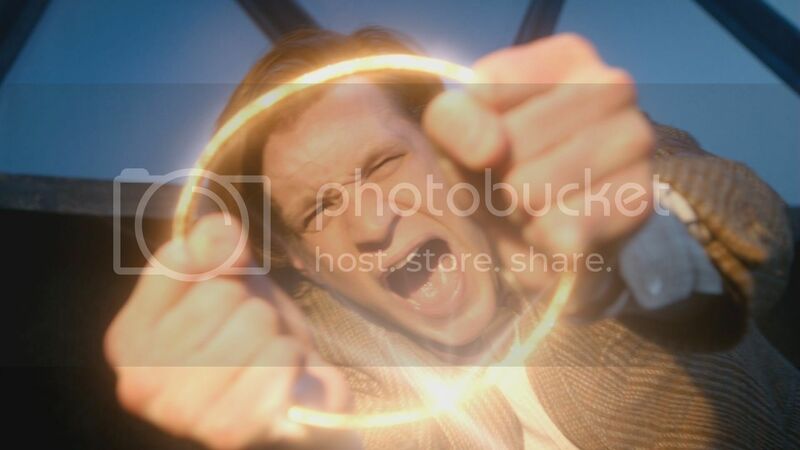 The show fronted by livewire and 11th Time Lord, Matt Smith, appeals to all age groups. Quirky comedian Bill Bailey is just one of the stars drafted in to ensure Dr Who fans enjoy this Sunday’s one-hour episode and its exploration of a magical wintry world. In Great Britain, this event amounts to a national tradition; but for followers here, it is no less of a calendar moment, a candle in winter coming months after the end of the last season and months before the beginning of the next, when the days are actually at their darkest. 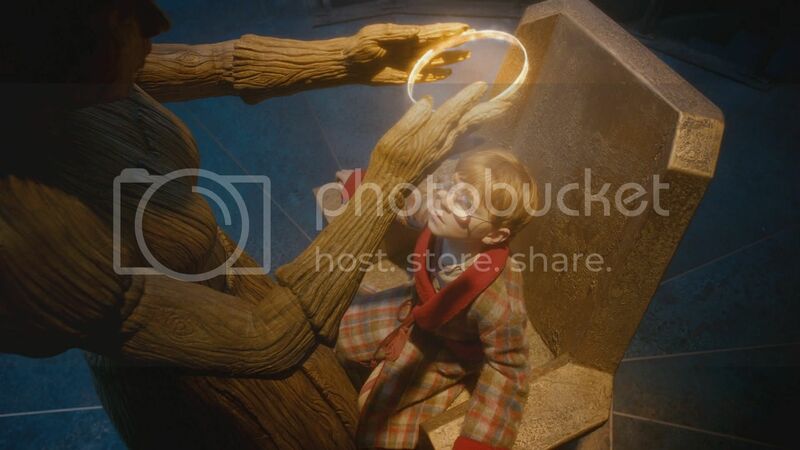 In the spirit of the season, its signal images are of trees and lights, and by Moffat's usual time-twisting standards, it's a relatively straightforward narrative, a sci-fi fairy tale catalyzed by a wish and watered with the old magic of human tears. Moffat is all about the old magic. 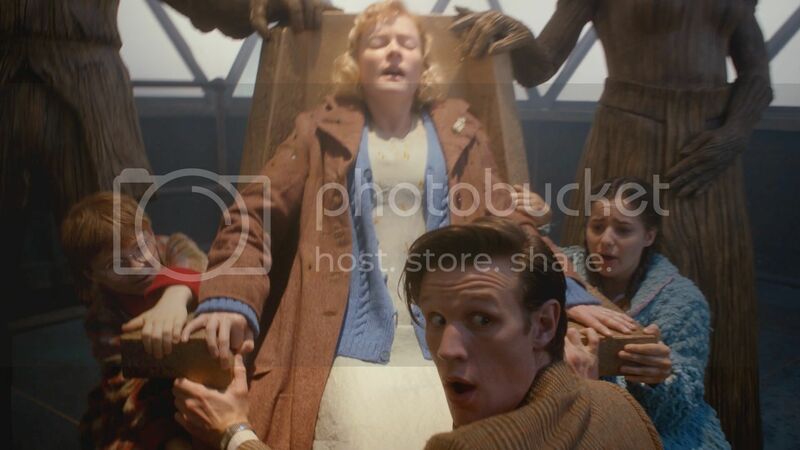 Matt Smith excels as usual, but he’s ably supported by Claire Skinner from Outnumbered as a mother who’ll stop at nothing to protect her kids – the episode is fundamentally a touching paean to parenthood – and Bill Bailey and Arabella Weir as comically ineffectual “antagonists”. It also pits the sonic screwdriver against its ultimate foe, finds the Doctor gaining a nifty new soubriquet, and tosses in the obligatory throwaway reference for old-school fans to go “Ooh!” at. It’s not just the spirit of the season making me giddy – this is truly beautiful television. Watch out tomorrow for a roundup of what the papers have to say about the festive adventure post-broadcast, and you can also read our own review of the episode later tonight. Matt Smith appeared on The Graham Norton Show tonight, during which he chatted about his Christmas plans, his brushes with fandom, and of course about a certain show he's become associated with that airs on Christmas Day! I've known a while, actually, because we've known for a couple of months. It's by mutual consent - I think really those stories just come to a point where it reaches its conclusion, and the very essence of the show is that it constantly re-invents itself. (on whether he'd go at the same time) I'm very happy to stay, I love it, I love making the show, but I'll miss Karen because she's a good mate, one of my best mates. She's a cracker - mad as a box of cats - but she's a firecracker, she really is. The full show can be watched in the UK via the BBC iPlayer until the 30th December. 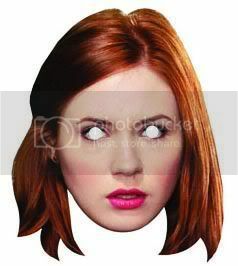 Karen Gillan will be a guest on The Graham Norton Show on the 6th January 2012. The BBC have released three videos covering highlights from the Q&A that followed the press screening of The Doctor, The Widow and The Wardrobe last week. The session was hosted by Radio 5 Live presenter Richard Bacon, and included a discussion of the episode that had been shown, the announcement over Amy and Rory's future, and answering questions posed by the audience. 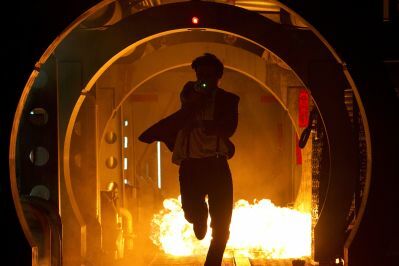 The Doctor Who immersive theatre experience, The Crash of the Elysium is to be recreated at the Ipswich Arts Festival from 15th June to 8th July 2012, as part of the London 2012 Festival celebrating the Olympic Games taking place in the summer. 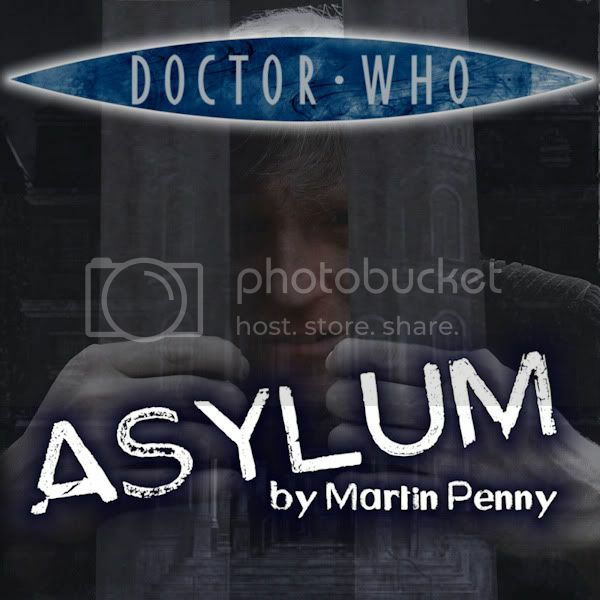 A live Doctor Who adventure in which the audience is the star of the show. The production is unlike anything audiences will have ever experienced. This is their story, their mission, the audience are the hero. No two shows are ever the same, no individual adventure is ever repeated. There is no stage, there is no comfy seating, there is no division between the world of the audience and the world of the show. The performances will take place at the Crown Car Park, and is sponsored locally by the New Wolsey Theatre; there will be three variations of the show, catering for schools, families with children aged 7-12, and for those aged 13 and older. This is fantastic news and something the Council is really pleased to be a partner in. The Crash of the Elysium will be a huge event for Ipswich and the region in 2012. It will also be a welcome boost for the local economy as it will bring thousands of people into the town. I would like to thank all our partners who will be helping us to put this together next June. We are very proud and excited to welcome the world-renowned Punchdrunk to the east for the first time but doing so as part of the London 2012 Festival and working with London Organising Committee of the Olympic and Paralympic Games (LOCOG) and with Manchester International Festival makes it even more exciting. The Crash of the Elysium will undoubtedly be one of the cultural highlights of the 2012 celebrations and it’s happening in Suffolk. This is an incredible opportunity and one not to miss. We are thrilled to support Ipswich Borough Council and the New Wolsey Theatre in their presentation of Punchdrunk’s live Doctor Who adventure The Crash of the Elysium. It's great to see a high-quality show with such universal appeal coming to the East of England. As a principal funder of the Cultural Olympiad, the largest cultural celebration in the history of the modern Olympic and Paralympic movements, we are especially pleased that The Crash of the Elysium will form part of this. Its inclusion in the London 2012 Festival will bring unprecedented and well deserved national profile to Ipswich and the region. There is a website for the event, though at the time of writing it is not currently active. BBC Worldwide have announced that Arthur Darvill will be joining Matt Smith and Steven Moffat at the Official Doctor Who Convention, taking place at Cardiff in March. Other guests at the weekend include actors Stuart Milligan (President Nixon, The Impossible Astronaut/Day of the Moon) and Simon Fisher-Becker (Dorium, The Pandorica Opens/Let's Kill Hitler/The Wedding of River Song. Also joining the previously announced behind-the-scenes crew Danny Hargreaves (special effects supervisor), Michael Pickwoad (production designer), and Marcus Wilson (producer) are Andy Pryor (casting director), Tom MacRae (author and writer of last year's The Girl Who Waited), Stephan Pehrsson (director of photography), and Caroline Henry (script editor). 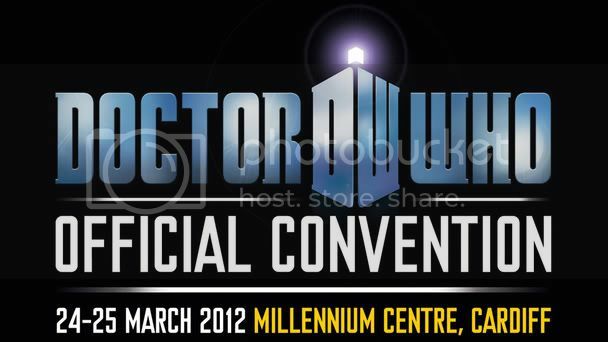 See the Official Convention website for full details of the event. After a period of invited testing as mentioned at the weekend, the "massively multiplayer online" (MMO) game Worlds in Time has now entered public beta with everybody invited to try out the game. The game is free to play, though players will be able to progress faster in the game by purchasing 'chronons' to assist with missions, equipment etc. 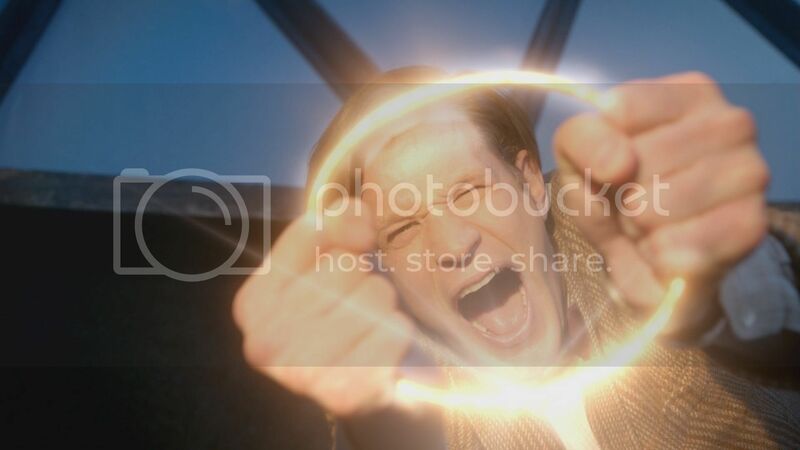 Our goal with Doctor Who: Worlds in Time is to expand engagement with the immensely popular Doctor Who brand and allow fans to deeply immerse themselves in that universe. 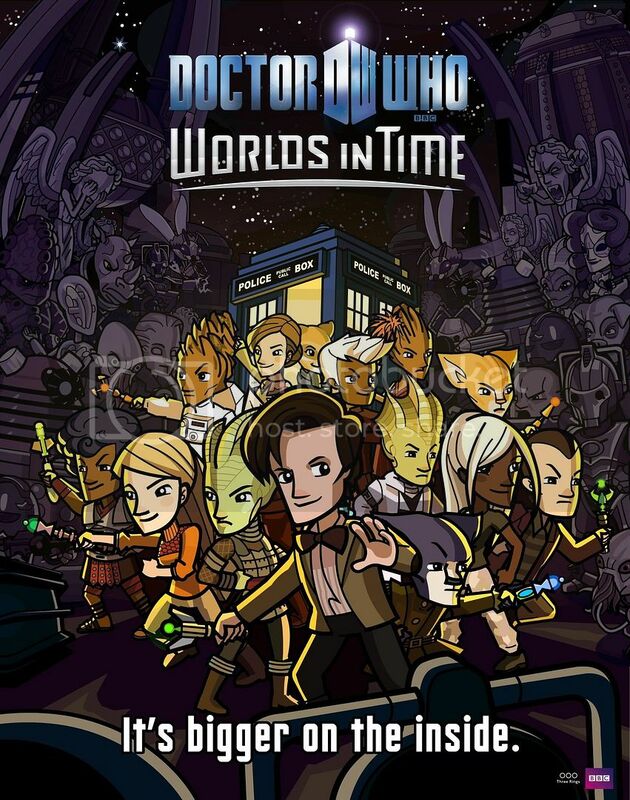 The game’s multiple worlds, its varied, wonderful characters and monsters, and changing story arcs will appeal to both Doctor Who fans and casual gamers alike. 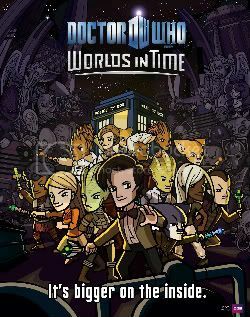 As a huge Doctor Who fan, the chance to develop this game with BBC Worldwide was a dream opportunity. We’ve worked to provide Doctor Who fans an experience that matches the quality and imagination of the TV show, and a forum to introduce casual gamers to this remarkable world with an experience accessible to players of all levels. To register for the game, visit the Worlds in Time website and select "Play". BBC Worldwide have announced a deal to provide programming content to Internet streaming service Netflix in the United Kingdom and Ireland. The company already streams BBC programmes including Doctor Who and Torchwood in the US, Canada and Latin America. BBC shows are a big favourite of our over 20 million streaming members in the US, Canada and Latin America. Members love watching back-to-back episodes of BBC series where and when they want, at the click of a button. We are incredibly proud to make these high quality programmes available to Netflix members in the UK and Ireland. With our content already available on Netflix in North and Latin America, we're delighted to be a launch partner for Netflix in the UK and Eire, offering viewers the chance to watch some of our best loved shows on the platform from day one. UK audiences have really grasped the experience that online viewing can bring, and our programming has proven to be particularly popular with this digital audience. Shows like Doctor Who are already available online in the UK through Internet Service providers like BT Vision and Virgin Media (and of course recent programming domestically through the BBC's own iPlayer service); Netflix's service also opens out programming to a number of internet-enabled platforms including the Xbox360, Nintendo Wii, and Sony PS3, plus a variety of blu-ray players, televisions, and mobile devices. With its pioneering BBC iPlayer service now available on more than 300 different internet-connected TV devices, the BBC has successfully taken catch-up TV beyond the PC and into the living room. Having partnered with Virgin Media to bring BBC iPlayer to TV back in 2008, we have since brought a vastly-improved, fully-integrated experience of BBC iPlayer to Virgin Media’s TiVo Service. With the addition of the BBC News app and enhanced BBC Sport services – all accessible via the Red Button – we plan to build on this partnership and continue to innovate in connected TV through 2012. Planet Skaro Audios began life in 2006 as a one off fan project by the members of the Planet Skaro forum which proved to be so enjoyed by all involved a series of four more plays appeared in 2007 which make up the first season. A second season of seven stories followed in 2008 and a third season in 2009. A three part story by Martin Penny and Si Hunt. The Doctor finds himself trapped with no memory and no idea which of his past and present companions can be trusted. Meanwhile an evil scheme is unfolding that threatens to bring about the end of the universe, with far reaching consequences for the Doctor and his companion Rob McCow. Part One - Why has the Doctor lost his memory and who isresponsible? Part Two - Can the Doctor really trust either of his companions? Part Three - Is it curtains for long-time companion Rob McCow? A late addition to the season is also due to be released this month! 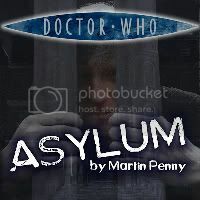 Set before the events of "Asylum", this story finds the Doctor taking his young companion Rob home for a family Christmas he'll never forget! More details soon from Planet Skaro. Details of earlier releases can be found on the Planet Skaro audios website. 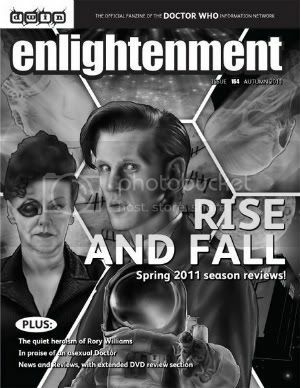 The latest issue of Enlightenment, the official fanzine of the Doctor Who Information Network, can now be ordered from their website. CHRONIC FATIGUE - Editor Cameron Dixon suggests that this is the most fan-friendly season of the revived series to date. FLUID LINKS - Robert Smith? examines the opening episodes of the series in a surprising manner. SPRING 2011 REVIEW - Greg McElhatton isn't terribly besotted with The Curse of the Black Spot. BLOCK TRANSFERS - Julie Chaston praises our discovery of who The Doctor's Wife is, in every sense. CRATER OF NEEDLES - Gian-Luca di Rocco sees no need to vent his spleen about The Rebel Flesh. THE TEMPERED SCHISM - Peter McAlpine follows a good man to war, and finds that it's not as problematical as it appears. LIONHEARTED - David J. Lamb bemoans the loss of one of the classic series' characteristics: the Doctor's asexuality. Also, Graeme Burk reviews The Complete Fifth Series on DVD -- as well as The Ark, Planet of the Spiders and Terror of the Autons, The Awakening and Frontios, The Sunmakers and Paradise Towers, and Day of the Daleks. Plus, reviews of the April 2011 Eleventh Doctor novels, the Lost Stories Animal and Earth Aid, the BBC graphic novel The Only Good Dalek, and Time, Unincorporated: Volume 3. 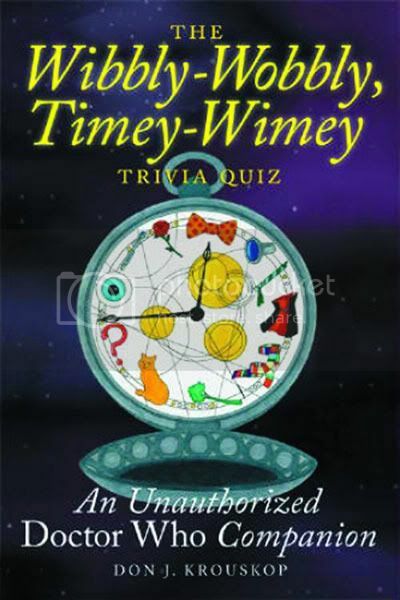 The Wibbly Wobbly Timey Wimey Quiz Book is a trivia quiz book compiled by Don Krouskop and covers all Doctors and televised story from An Unearthly Child through to A Christmas Carol. It is available to order from Amazon in both paperback and Kindle formats. It's a trivia quiz! It's an episode guide! It's bigger on the inside than the outside! Test your knowledge of the most popular, enduring science-fiction series in the world with this comprehensive Doctor Who trivia quiz. With more than 1000 questions, covering every period in the program's five-decade history, it's the ultimate challenge for fans of television's #1 cult classic. Who knitted the Fourth Doctor's trademark scarf? "The Doctor's Daughter" guest star Georgia Moffett is the real-life daughter of what former Doctor Who star? What alien race built the Genesis Ark? The first episode of Doctor Who was broadcast just one day after what real-life tragedy? How many holes are there inside the lock on the TARDIS door? Dalek creator Terry Nation co-produced what iconic 1980s U.S action series? This is a new project being undertaken by Tara Gill, kicking off in the New Year. I will spend an entire year making Daleks. This all started because of a distant cousin in law's child. My husband's distant cousins, wife contacted me on Facebook some time ago. We became friends and she has these two awesome little girls. One is super girly girl but the other ... oooooh the other. She's a geek in training for sure. She adores Daleks. I run an Etsy business and for years was primarily a knitter. But knitting can be expensive and it takes me quite a while to make enough items to stock a store. Wanting my business to be more successful I turned to polymer clay. It gave me the freedom to create more pieces and to rest my wrists when I really need it. I made a Dalek for my cousins little girl. And then ... I made another. While I worked on them I saw limitless potential for what you can form a Dalek to look like. Making something every day for a year is a daunting task but it can definitely be done. I want something more than JUST pictures taken with my phone or just kind of randomly snapped by one of my cameras. So I started to form a team. I've got a couple of photographers, makeup artists, and hair stylists to help make the pictures look far better than they would have otherwise. The project will be available to see through Twitter, Facebook and Tumblr - details to follow soon. A complete timeline of Doctor Who from 1963 to present, including episodes, seasons, companions, villains, and more has been made available here. 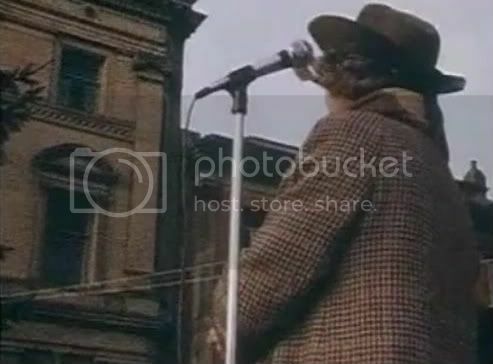 Back in November, the BBC Northern Ireland programme Those Were The Days broadcast a vintage clip of Tom Baker visiting a school, which had been part of a number of news items following the actor as he visited Belfast during the 1970s. The clips were discovered by archivist Evan Marshall when researching for the archive television series, which as well as the school also included the actor visiting a hospital, 'mobbed' in a shopping centre, and doing an interview for BBC Radio Ulster. Additionally, Tom Baker was filmed as he turned on the Christmas lights, and the BBC's Adventure Calendar has now made both this festive themed clip and the original raw school footage shown in Those Were The Days alongside the shopping centre appearance available to watch online. Star Cutouts have launched a new range of licensed cut-out face masks based on characters from Doctor Who; the first releases include the Eleventh Doctor and Amy, alongside a Cyberman, Weeping Angel, a Silent, plus the Empty Child! 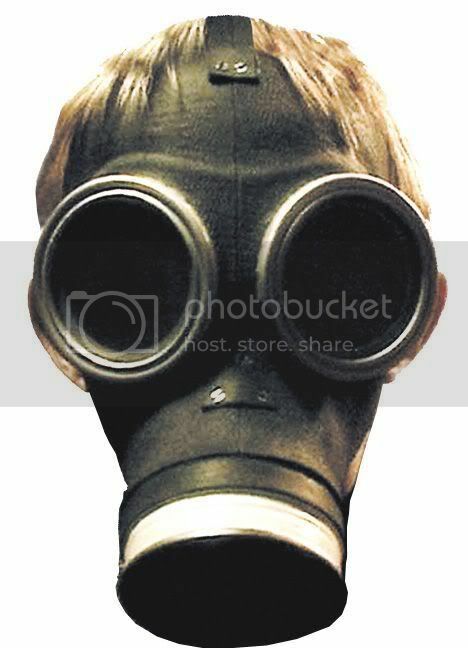 The cut-out face masks join the existing range of full life-sized cut-outs from the company. In the run-up to the 50th Anniversary the company plan to release a wider range of life-sized cut-outs encompassing both the 21st and 20th Century series; this kicks off with one of Rory which is hoped to be released in January, followed by a 'classic' Doctor cut-out for February. 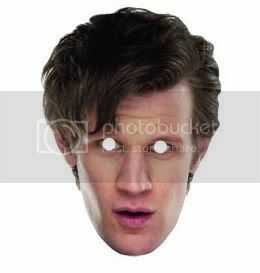 Eagle-eyed readers will note the similarity between these masks and those provided as part of the recent Come Round party pack to celebrate the release of the Complete 6th Series boxed set last month - Star Cutouts produced those on on behalf of the BBC and have since modified some of the images for the commercial range. 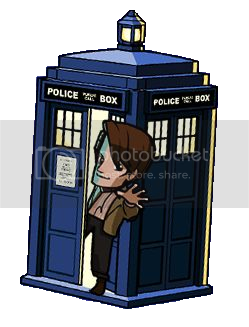 Meanwhile, the announcement by Steven Moffat that Amy and Rory would be departing has set the bookies off on their predictions of who might assume the vacancy in the TARDIS, though predictably lacking the imagination to consider a male as the Doctor's next sidekick. Downton Abbey's Jessica Brown Findlay is considered the favourite by Ladbrokes at 4/1, with The Curse of the Black Spot's Lily Cole at 6/1, Matt Smith's close friend Daisy Lowe at 10/1, and Strictly Come Dancing runner up Chelsee Healey at 12/1. 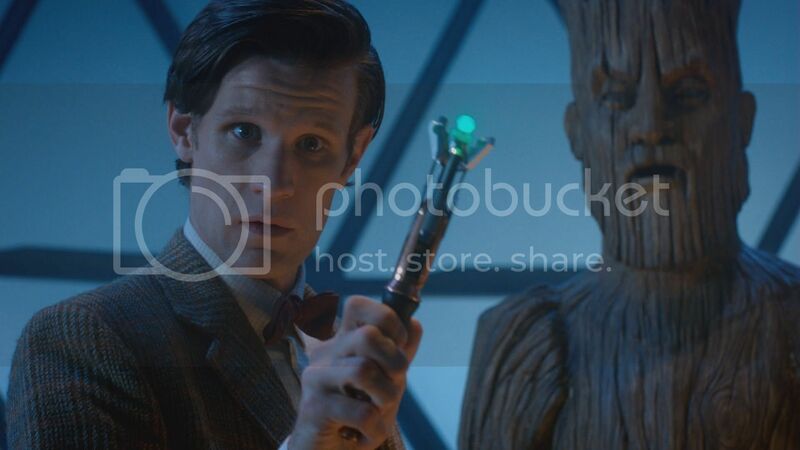 The Doctor Who "massively multiplayer online" (MMO) game Worlds in Time moves a stage closer with the platform having now been made open to invited users in order to test and give feedback upon the initial gameplay. Having been "invited" to join the Doctor in the TARDIS, initial registration for the game enables players to select their character name and race, choosing from four different races, Human, Silurian, Cat-person and Tree-person. Character avatars can then be adjusted to suit player preference before the final registration page. You acknowledge that you have "early access" to the game in an incomplete form. By proceeding, you agree to hold strictly confidential any information about the game until it becomes public. Update: Rory made it through round two, easily beating Walter White with 63% to 36%. The quarter final sees him against Sons of Anarchy's Clay Morrow, which at the time of writing sees the Doctor's travelling companion way ahead with 71% to 28%. Voting ends on Tuesday. 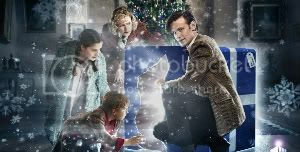 The BBC have released new promotional images for the forthcoming Christmas Special, The Doctor, The Widow and The Wardrobe. 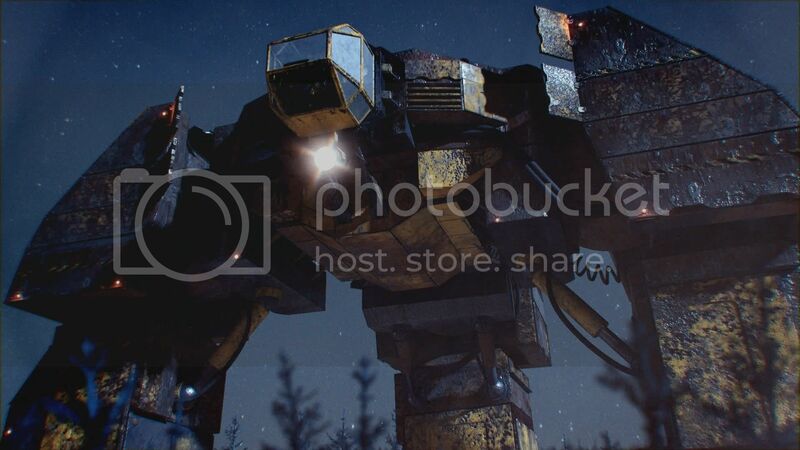 The ten new images are made up of screen captures depicting a number of scenes and effects from the story. 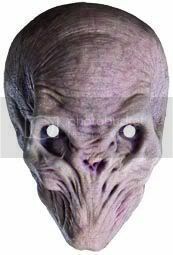 Yesterday saw Bonham's Entertainment Memorabilia auction take place, in which a range of costumes from 21st Century Doctor Who were available to bid upon, originating from Angels The Costumiers, plus the preliminary artwork for the 1964 The Dalek Book and a spaceship prop from Battlefield. 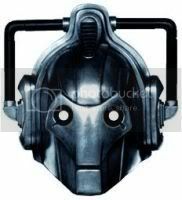 The Battlefield spaceship (#154a) reached its estimate of £5000, but the surprise sale of the auction turned out to be the Clockwork Droid costume (#162), estimated at £400 but also going for £5000! 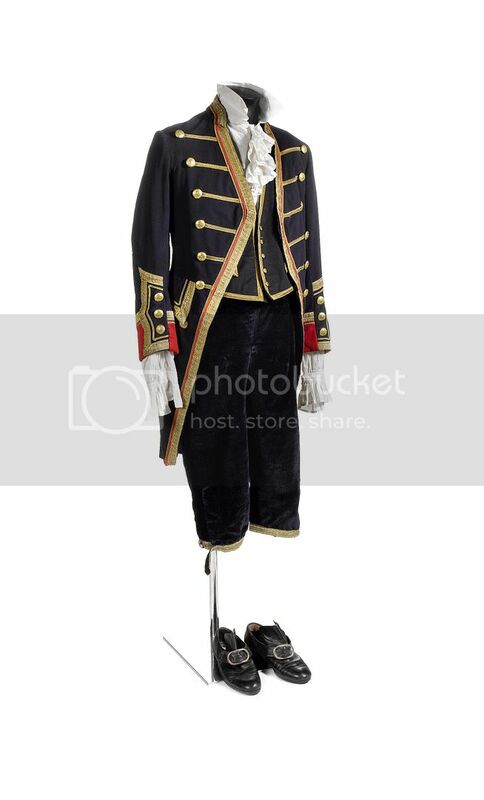 Unsurprisingly the Doctor's costumes all performed well at the auction, well in excess of their estimates: John Smith's teacher costume (#173/£1500/£2125); John Smith's suit (#174/£600/£938); John Smith's pyjamas (#175/£600/£1125); John Smith's coat/hat/scarf (#176/£400/£1250); and the Doctor's wedding outfit from The Big Bang (#191/£1800/£2625). Other items that far exceeded their original estimates include: The Dalek Book artwork (#154/£700/£1500), William Shakespeare's costume (#166/£500/£1625), Martha's maid costume (#167/£400/£1000), Rosita's costume (#184/£350/£1375), Van Gogh's costume (#188/£450/£1250), and Dorium's costume (#185/£350/£1375). The final prices of the items are listed below, which is inclusive of the Buyer's premium.